More 'XD' thank 40 'XD's. And thats A LOT! Lol, this is great! Awesome job! Brilliant -- all those little special little details!! Can't wait to try it in-game! Wow I used to have one of these computers it was my very first personal computer, my brother had the ZX80 with rubber keys, they used to stick all the time. The memorys this has spawned! Sitting for HOURS playing such masterpieces as 'Taffy Turner', lol. Thank you, im gonna have a ball with this! Outstanding! Thanks so very much for sharing your very hard work Numenor. #15 26th Jun 2007 at 5:43 PM Last edited by JLonier : 26th Jun 2007 at 10:04 PM. This is probably THE most classy, intricately made object i have seen to date. Very Great job, my friend. I unfortunately never got a chance to play with the Sinclair, I started out with the Commodore Vic-20,http://en.wikipedia.org/wiki/Vic-20, then the C-64. That was what was available in my area growing up. If this creation isn't featured and talked about for quite some time, then you all will walk the plank! Yaar. Oh man, i love computer history! thanks so much, this is kick-a$$! Thanks! can't wait to use it! I always wanted one of these but I was never allowed. It was too expensive. Thank you for helping me fulfil a childhood want. Nay, a childhood NEED! And thank you for another fantastic creation. ...Off now to put the kettle on, while 'The Hobbit' loads - see ya in about 10 minutes time!. 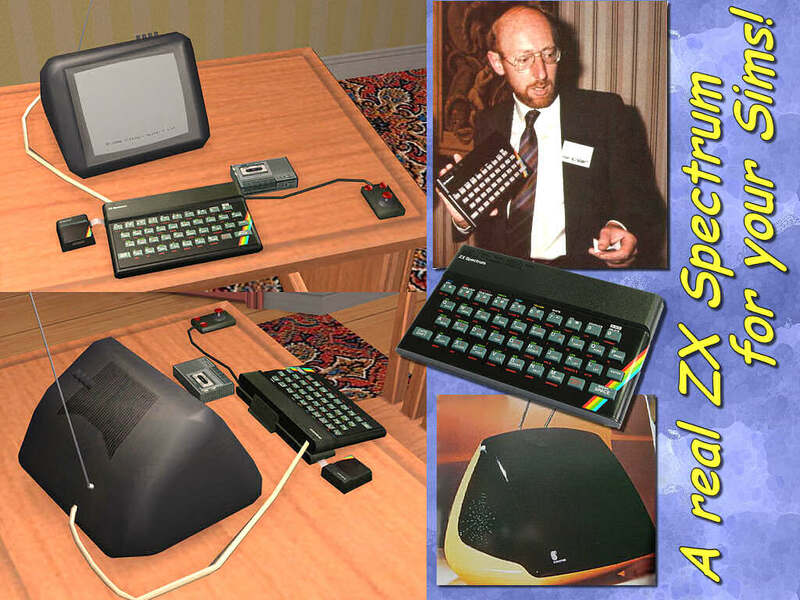 Ah the joys of the Sinclair membrane Keyboard! Yet another reason the Acorn Electron Rocked. *Member most in need of spellcheck, period.